We are Barbara Gerr and Arnie Small. We specialize in buying and selling American art pottery, including Roseville, Weller, Rookwood, Grueby, Newcomb, tiles, gardenware urns, and much more. 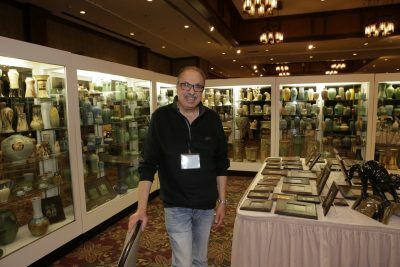 We are members of the American Art Pottery Association (AAPA), where Arnie is Past-President, and the Ohio Pottery Lover’s Group, where Arnie is a Trustee.